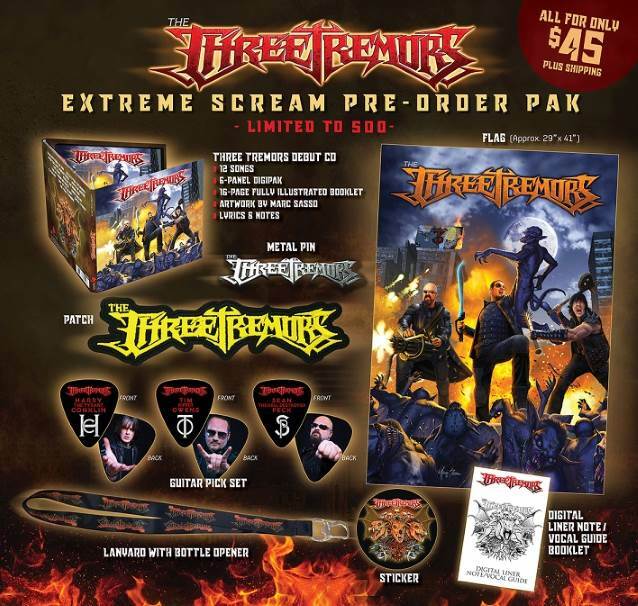 Acclaimed heavy metal singers Tim “The Ripper” Owens (JUDAS PRIEST, ICED EARTH, YNGWIE MALMSTEEN), Harry “The Tyrant” Conklin (JAG PANZER) and Sean “The Hell Destroyer” Peck (CAGE, DEATH DEALER, DENNER/SHERMANN) have joined forces in a new project called THE THREE TREMORS. THE THREE TREMORS‘ self-titled debut LP is due on September 20. Check out audio samples on THE THREE TREMORS‘ PledgeMusic page. 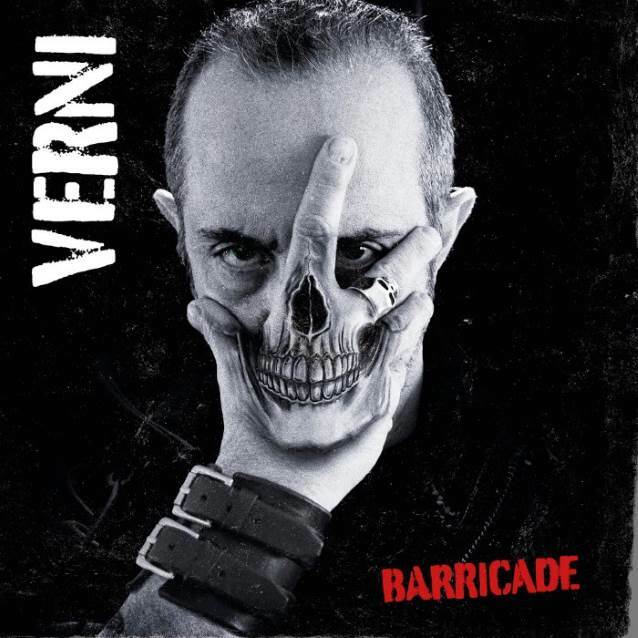 THE THREE TREMORS nourish in heavy metal anthems, and feature the illustrious chops of guitarist Dave Garcia, whose tenacity fuels the fire, allowing the music to naturally flow in complimentary tone. 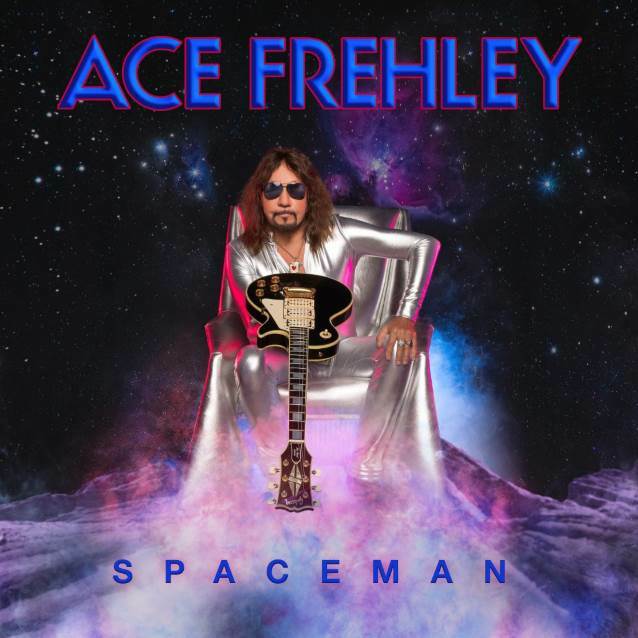 Second guitarist Casey Trask picks up the pace and pushes the boundaries alongside bassist Alex Pickard, who highlights a melodic sensibility giving character to the overall tonality. On drums, the thrash machine Sean Elg adds in his perfectly placed fills and signature double bass patterns. 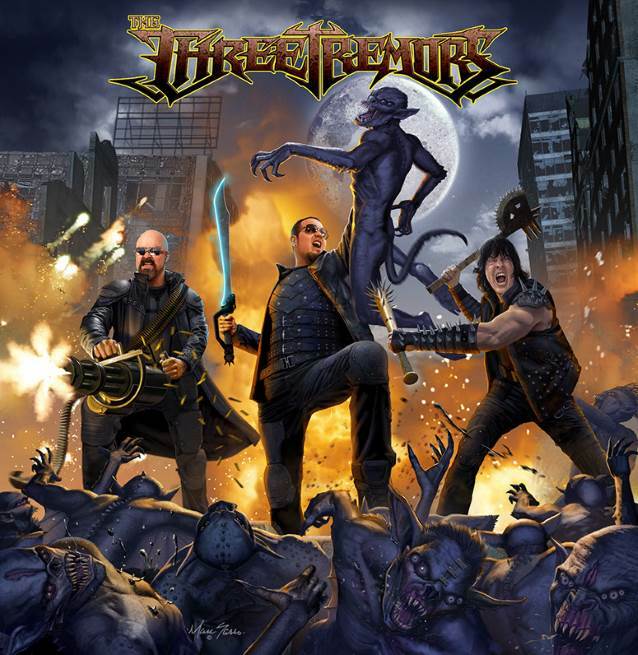 THE THREE TREMORS‘ self-titled debut highlights artwork ingeniously created by renowned artist Marc Sasso (DIO, HALFORD, ADRENALINE MOB, DEATH DEALER), to showcase an apocalyptic battle between demonic hyper-wolves and the Three Tremors, who marched into an underworld overshadowed by evil forces only armed with bullets powered by heavy metal sorcery to reclaim the dystopian lands. THE THREE TREMORS‘ self-titled debut album will feature 12 new songs that depict monumental stories of time honored heavy metal themes as written by Peck, focusing on original concepts to highlight three of the most revered and relentless voices in heavy metal. THE THREE TREMORS was the provisional name given to a proposed project featuring Bruce Dickinson (IRON MAIDEN), Geoff Tate (QUEENSRŸCHE) and Rob Halford (JUDAS PRIEST). It was announced in 2000 that Tate would be joining Dickinson and Halford in the all-star group, which was slated to record an album’s worth of material with Dickinson‘s solo guitarist and Roy “Z” Ramirez. Back in late 2016, Owens, Tate and ex-IRON MAIDEN singer Blaze Bayley played a number of U.S. shows under the “Trinity” banner. Owens later said that while the tour “was a lot of fun,” he would not be working with Tate again. Finnish metallers STRATOVARIUS are back with a new album — with some fresh and some very rare material. 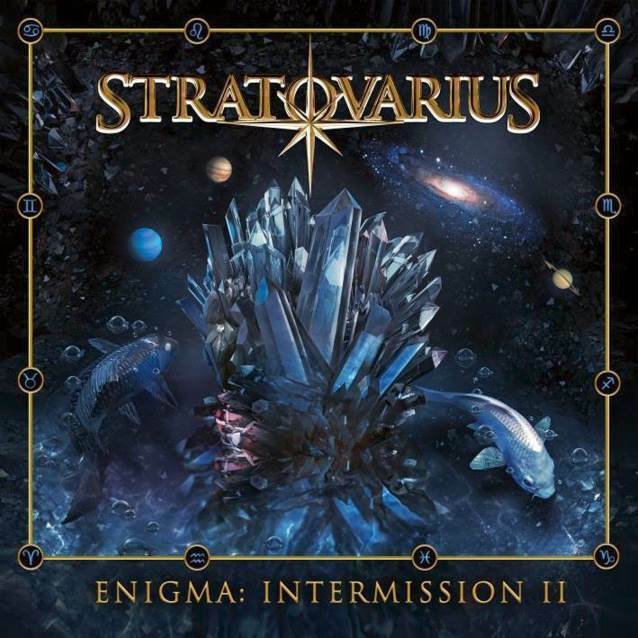 Due on September 28 via earMUSIC, “Enigma: Intermission 2” features three brand new songs as well as, for the first time in the band’s history, four beautifully arranged orchestral versions of popular STRATOVARIUS songs. 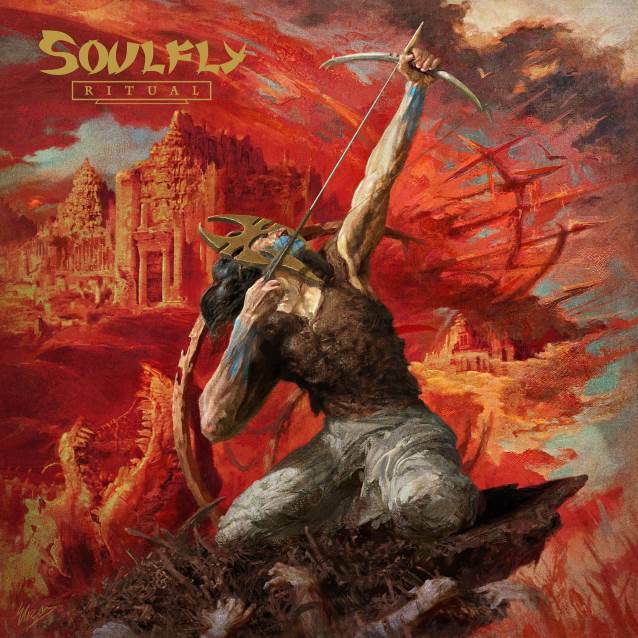 The album is similar in concept to “Intermission”, released 17 years ago between “Infinite” and “Elements”, in the sense that these seven tracks made in 2018 are completed by nine very rare, very-hard-to-find power metal gems. Take “Enigma” and “Oblivion”, for example, fresh from the studio in 2018. Both combine an epic melody with a bombastic chorus and heavy riffs for STRATOVARIUS‘s trademark sound and remind of “Unbreakable” from their 2013 album “Nemesis”, the most streamed song in the band’s history. Or “Kill It With Fire” and “Castaway”, two epic and full-blown power metal tracks that were previously only heard by Japanese fans. The official song stream video for “Oblivion” is now available below. The sweeping melodic power metal grandeur of STRATOVARIUS, together with Timo Kotipelto‘s powerful yet emotional voice, is very much present on all of the 80 minutes of this release. This spirit truly makes “Enigma: Intermission 2” closer to a full new studio album than to a mere compilation. This autumn, STRATOVARIUS will hit the road in Europe with Tarja Turunen on the “A Nordic Symphony ’18” tour. MISFITS and DANZIG frontman Glenn Danzig has signed a feature film agreement with Cleopatra Entertainment, a division of the Los Angeles independent record label Cleopatra Records. Danzig will pen, direct and compose music for the feature film which will be structured as an anthology splitting its running time between three individual characters/storylines based on Danzig‘s own popular Verotik comic book characters. Verotik is Danzig‘s long-running brand of mature horror comic books and related material. The comics, featuring mostly deadly femme fatales, have been in print since 1994. Principal photography for the anthology film will begin fall of 2018. California metallers DEVILDRIVER will embark on a U.S. headline tour in the fall. 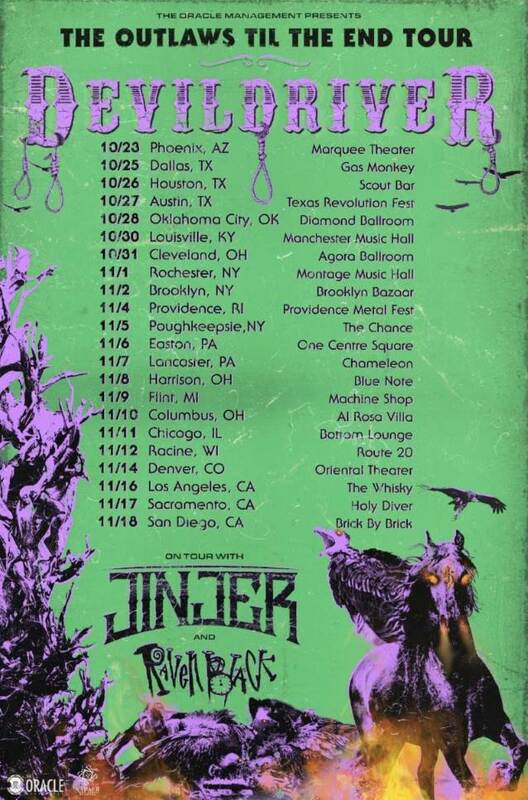 Support on the trek, which will kick off on October 23 in Phoenix, Arizona and end on November 18 in San Diego, California, will come from JINJER and RAVEN BLACK.